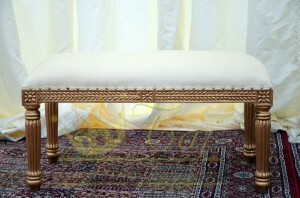 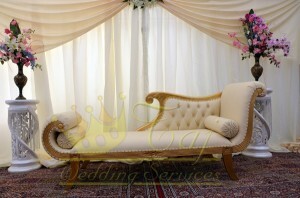 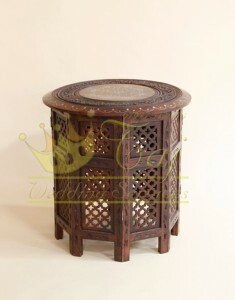 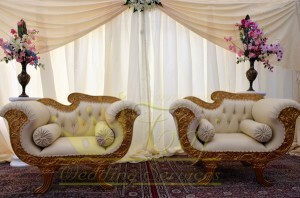 We have a stunning range of Wedding & Party Furniture to choose from. 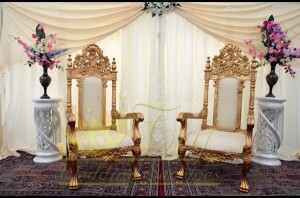 With over 10 different seating styles & endless backdrop possibilities you will certainly find something for your event. 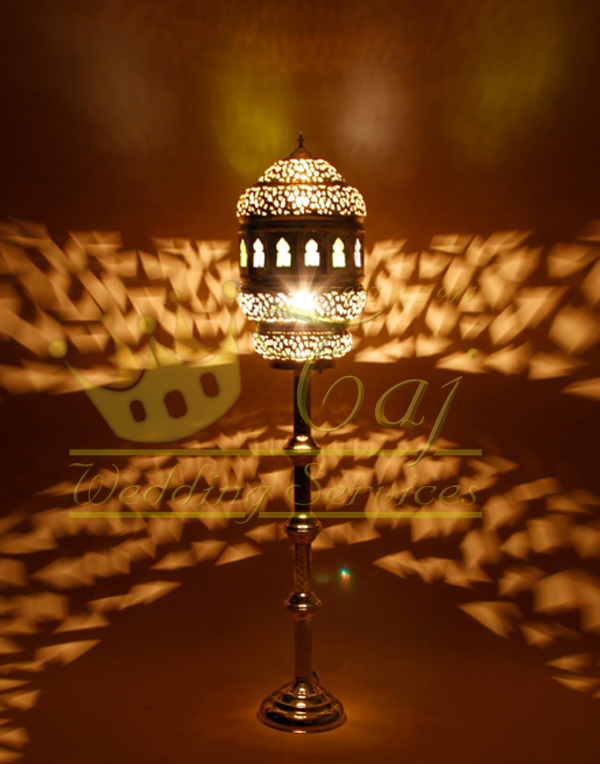 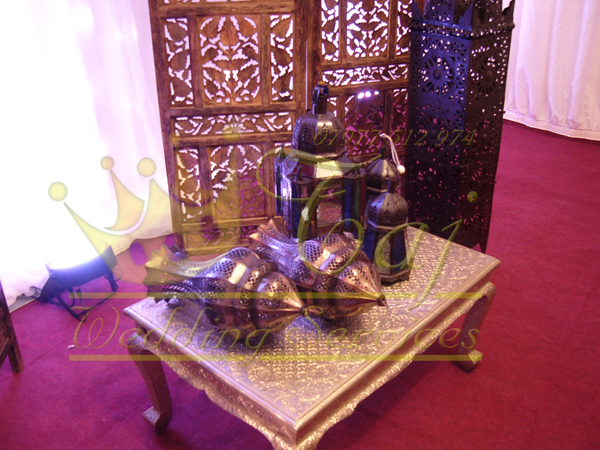 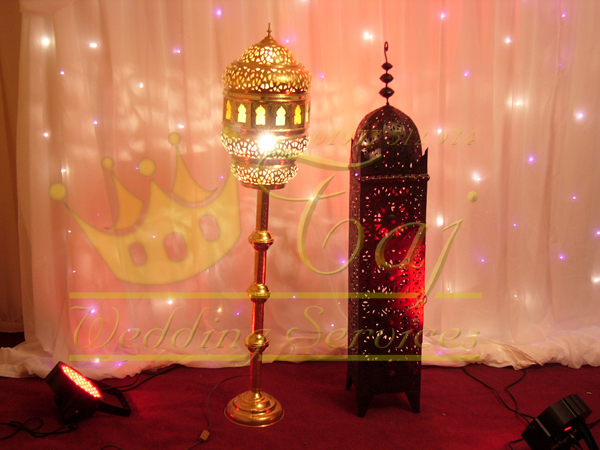 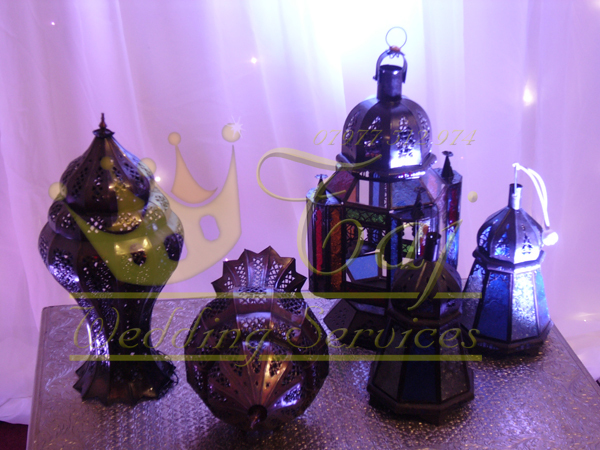 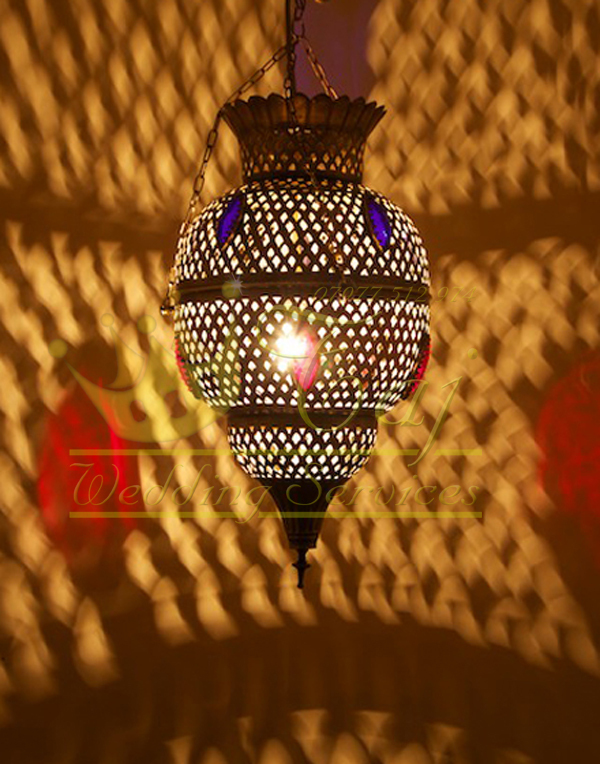 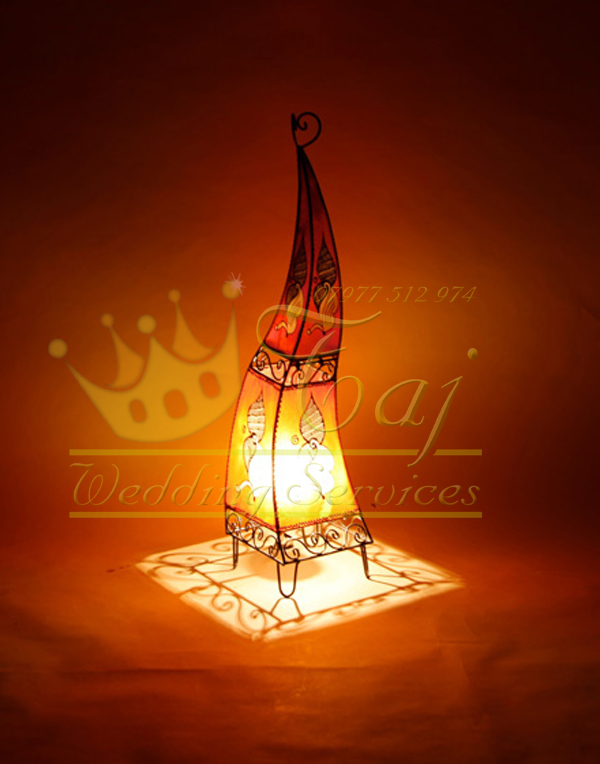 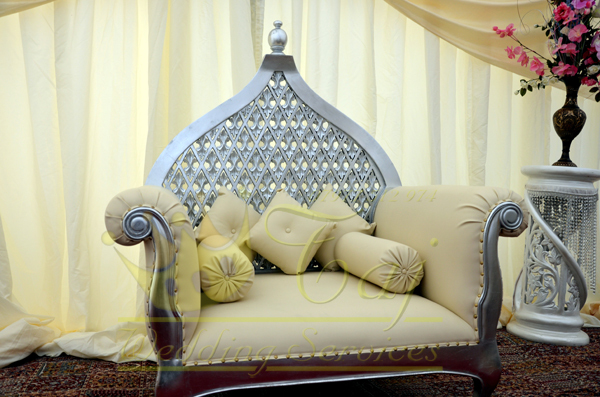 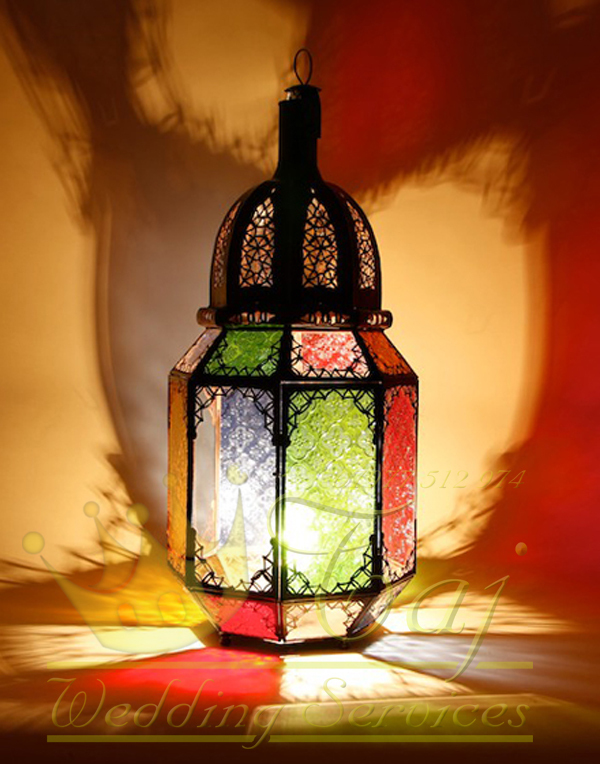 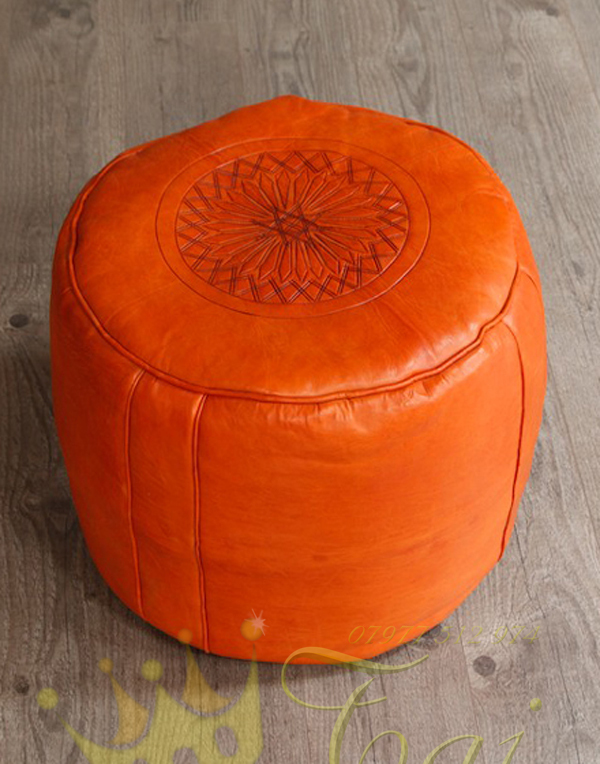 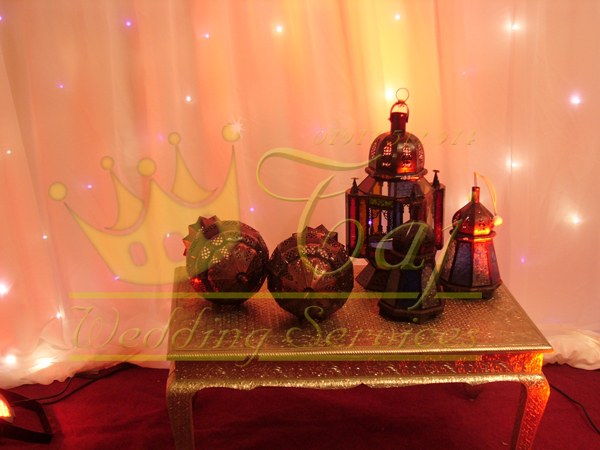 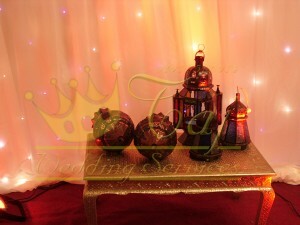 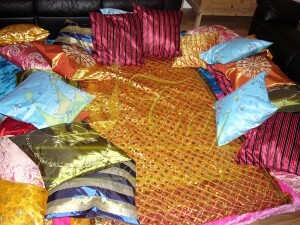 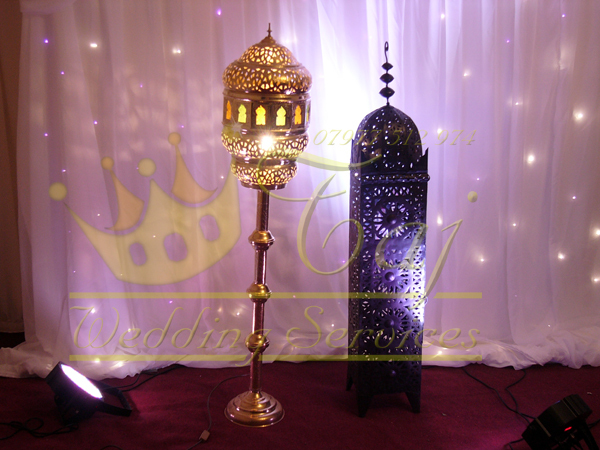 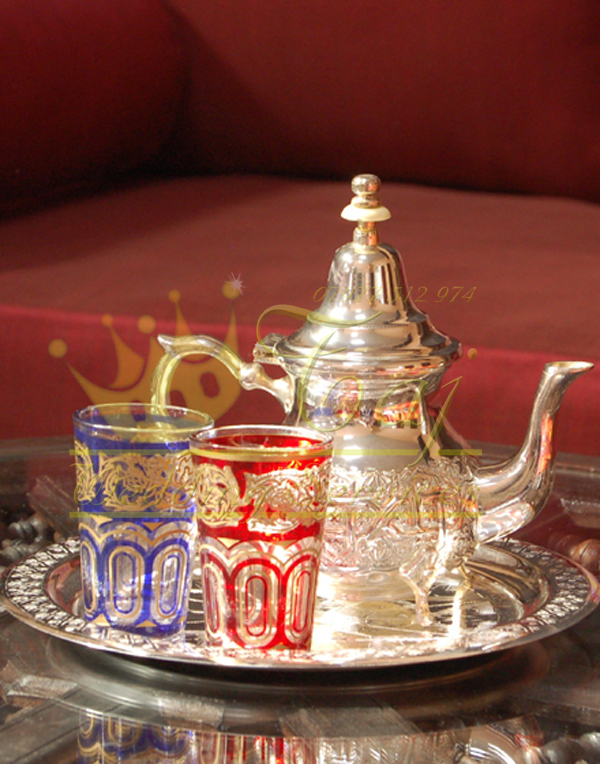 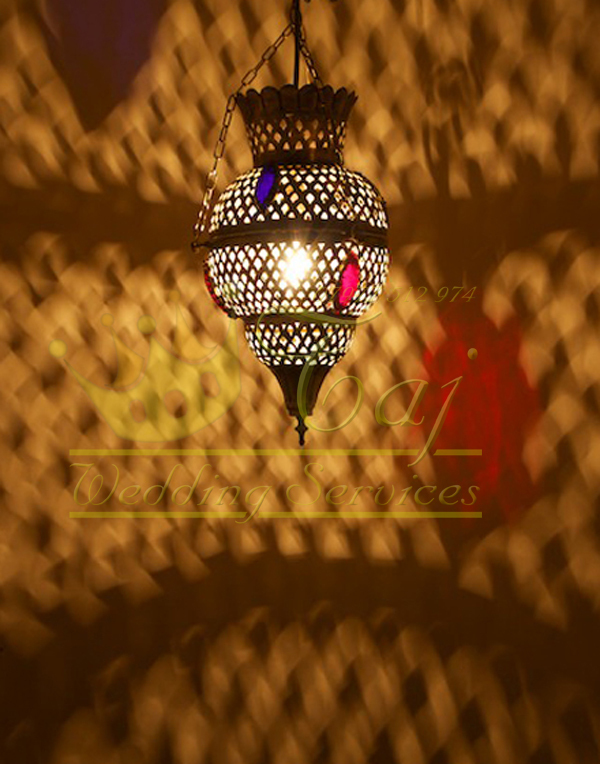 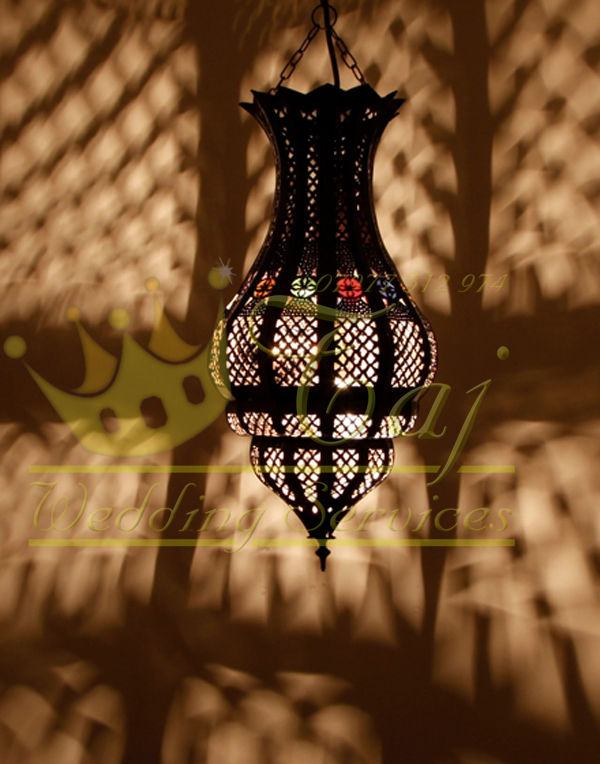 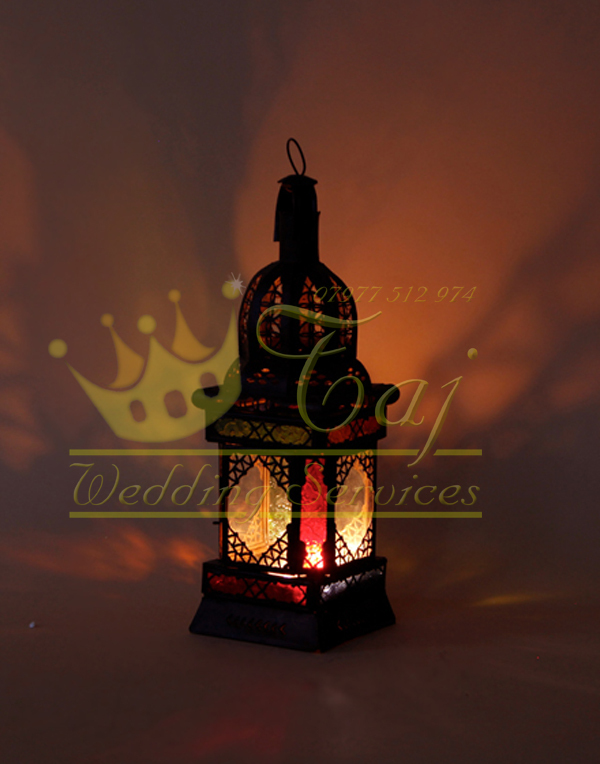 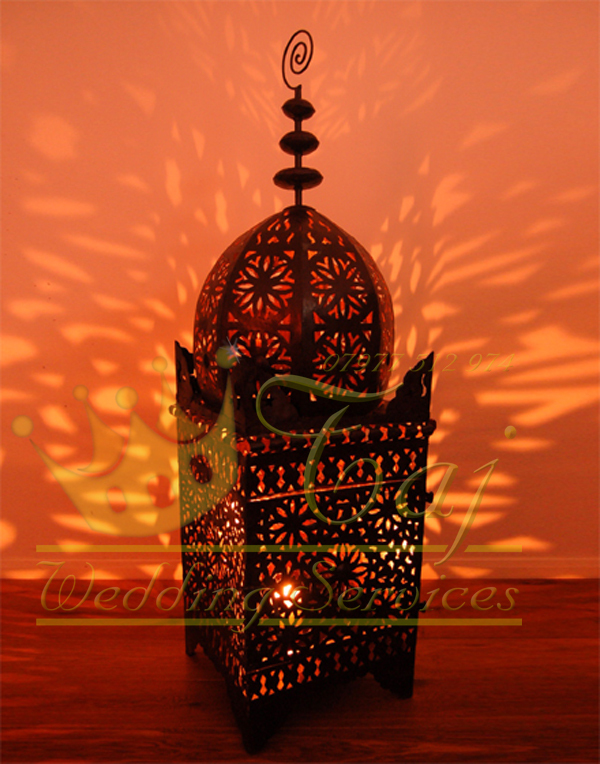 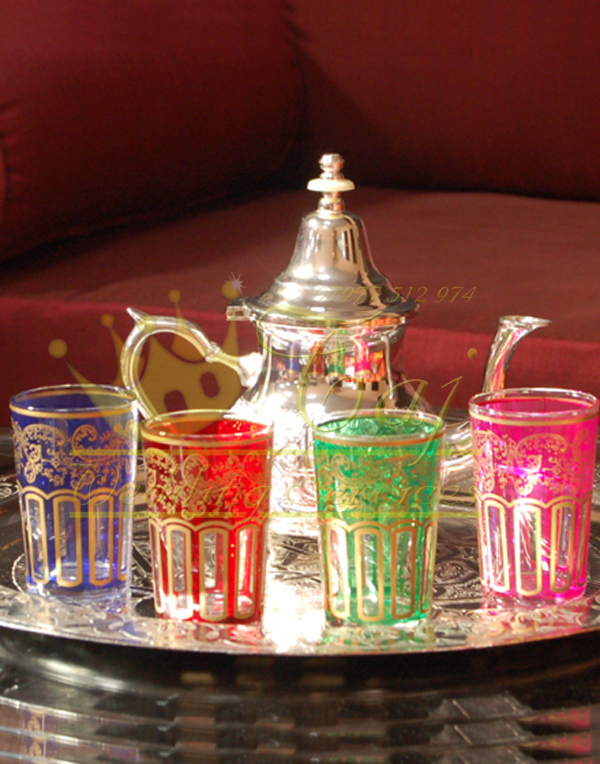 We offer various accessories for you Mehndi Events & Parties, including: Mattresses, Cushions, Pouffes, Moroccan tables, lamps, rugs, & accessories. 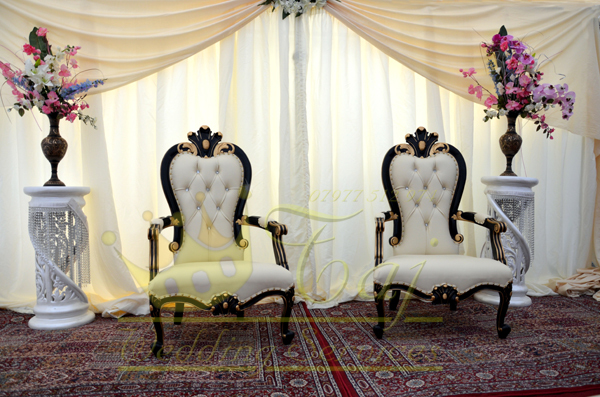 Browse through our galleries for stunning pictures of events. 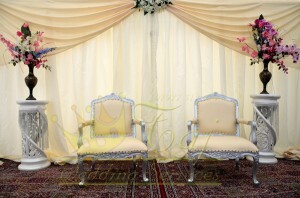 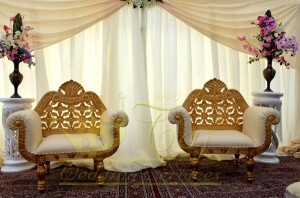 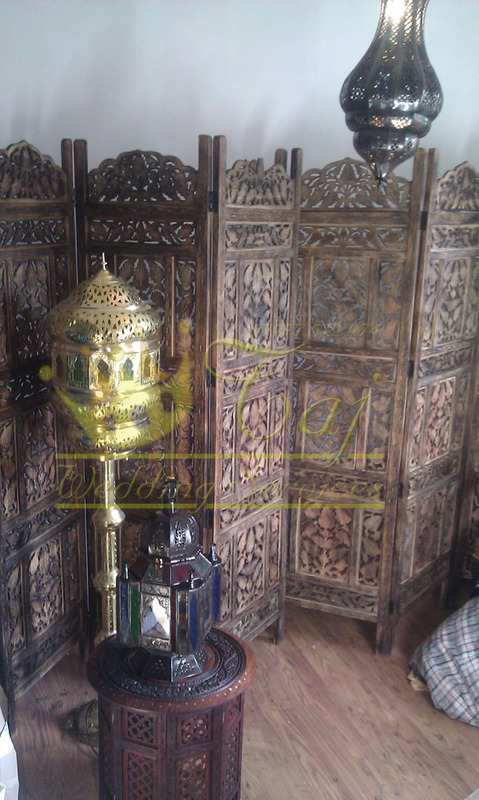 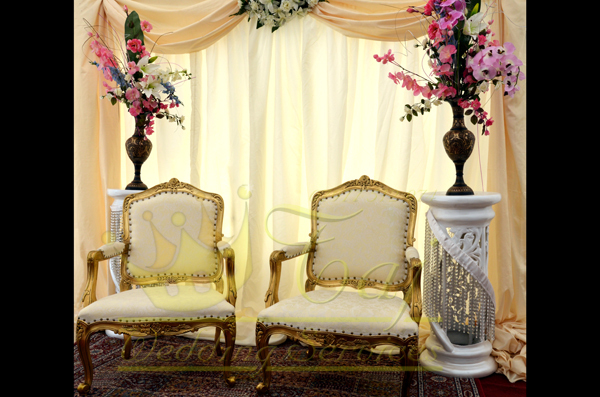 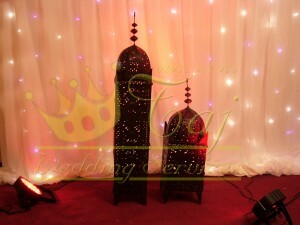 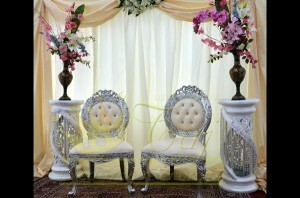 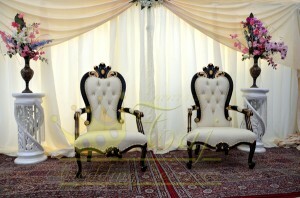 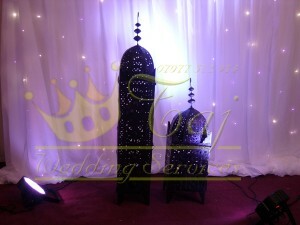 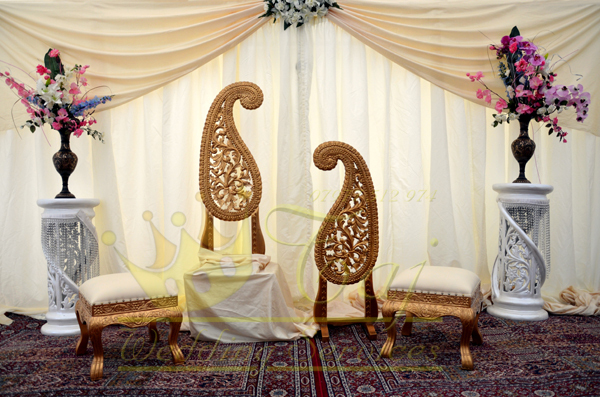 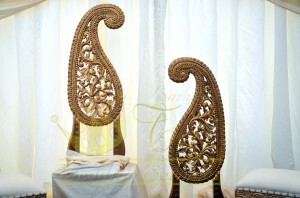 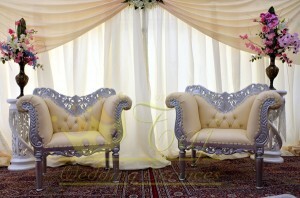 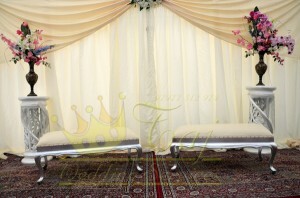 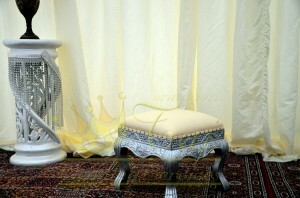 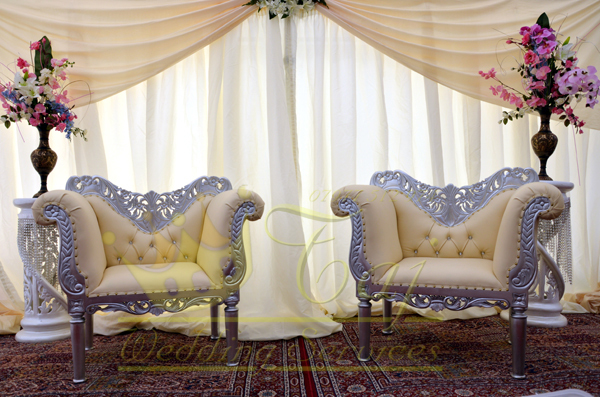 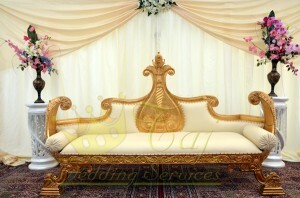 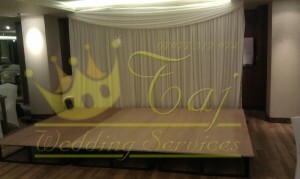 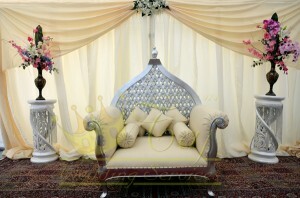 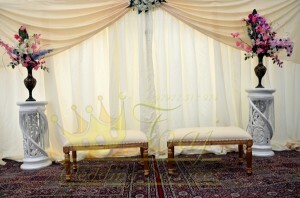 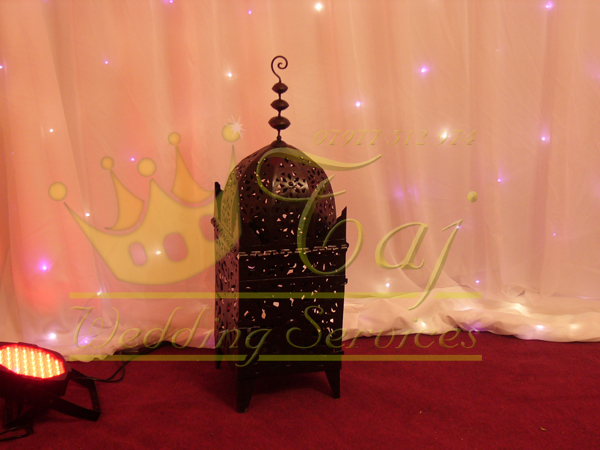 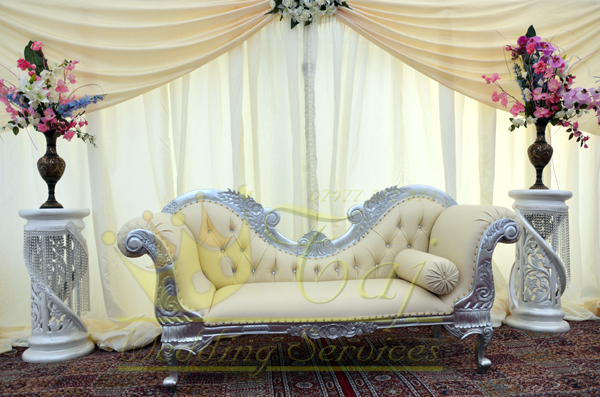 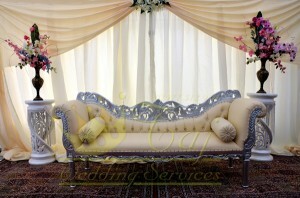 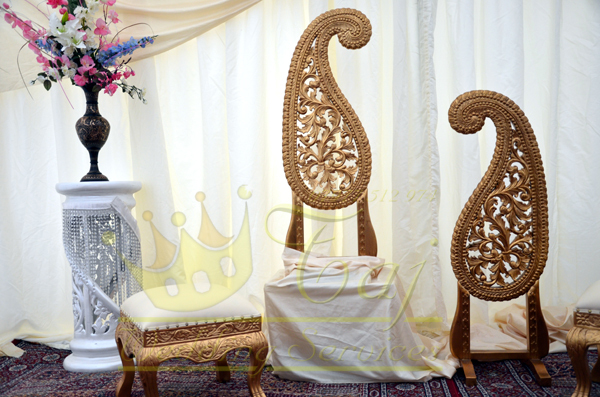 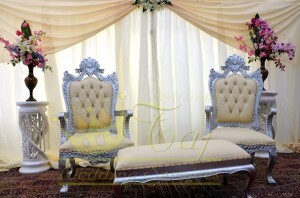 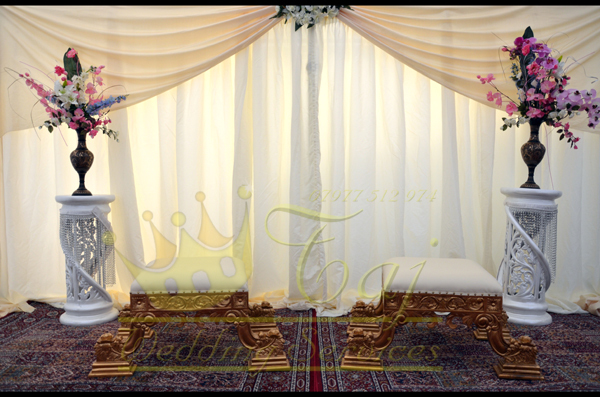 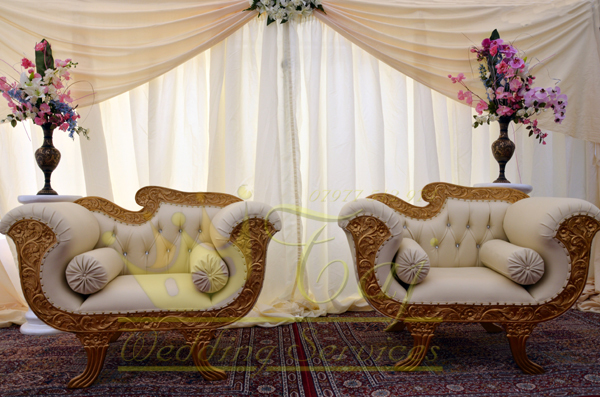 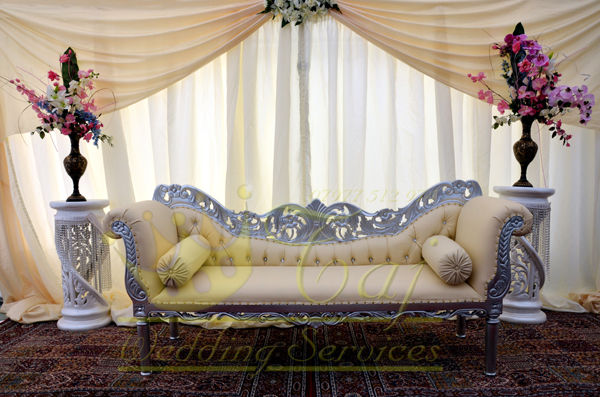 Taj Wedding Services provides range of folding chairs for wedding, garden party, or event hire. We always try to introduce the latest styles of chairs for hire to our customers. 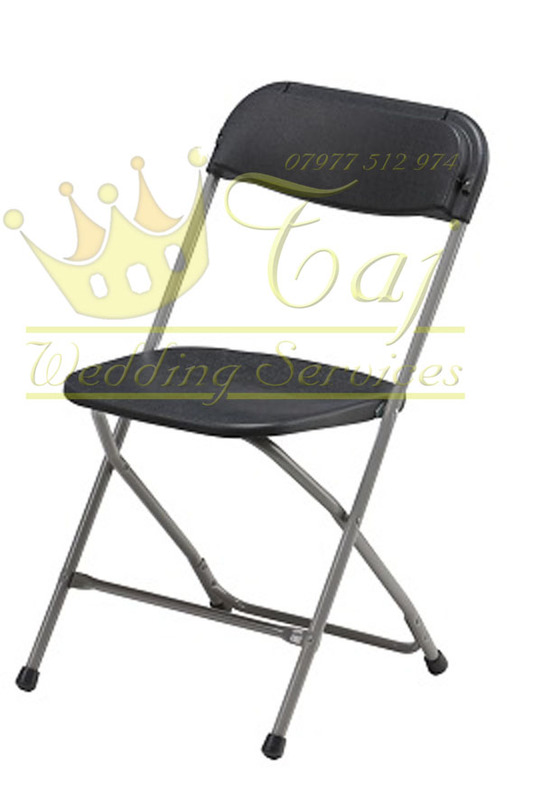 Our chairs range from foldable/stackable chair to Banqueting and Chiavari chairs. 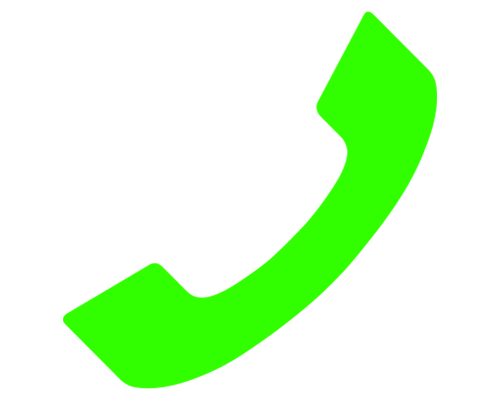 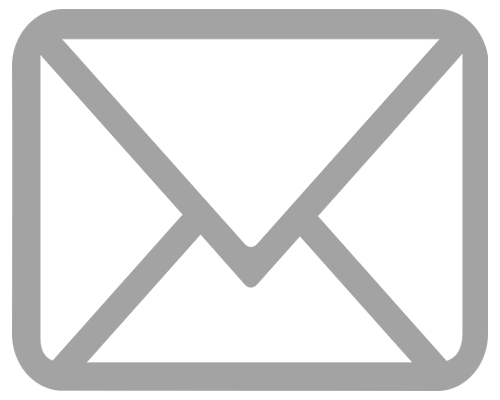 The other name for folding tables is trestle tables. 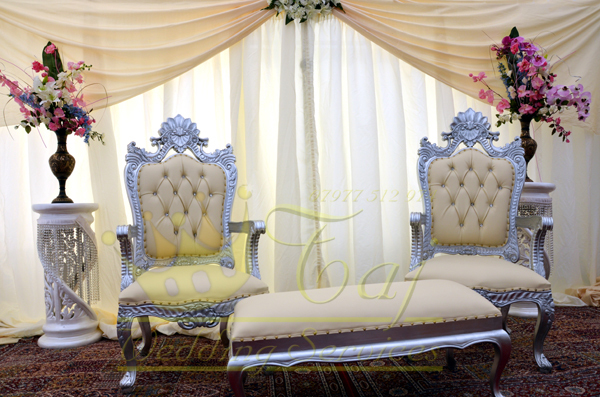 A trestle table is commonly used as a generic term for rectangular tables with two trestles at either end. 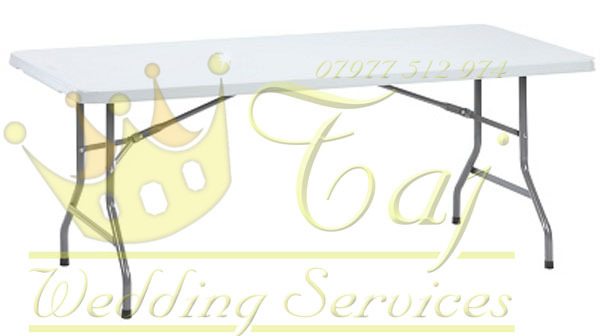 The trestle tables we have for hire in the bucks are made of one piece plywood and are strong enough for use in almost any situation. We hire folding tables to all kinds of buinesses, from large hotels needing folding table hire for weddings through to small folding tables for arts and crafts. All our folding tables are of contract quality and are very sturdy and robust. 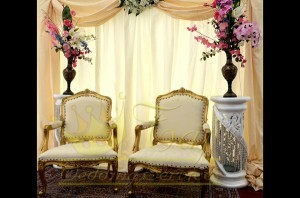 Columns and pillars can add a great touch to any setting and can be used in a variety of ways. They form a good base to simply add height to floral arrangements or they can be dressed and draped with soft organza fabric to add elegance and drama. A mandap or gazebo can be created using several columns or pillars with fabric. 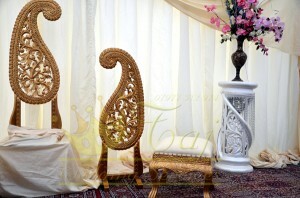 We provide range of Roman and other pillars/columns for wedding and other functions. 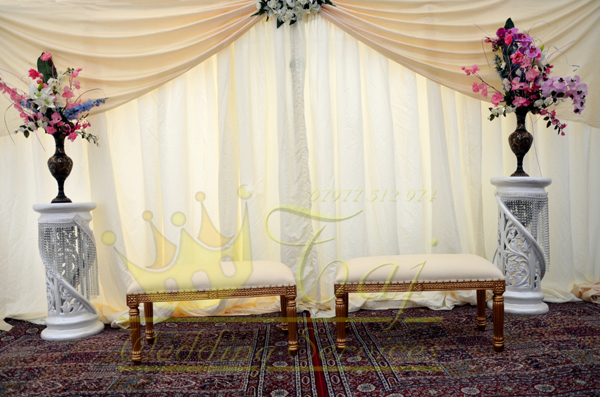 We can also dress and decorate pillars and columns fixed within your venue with floral garlands, tulle, twinkle lights and bridal eucalyptus or ivy. 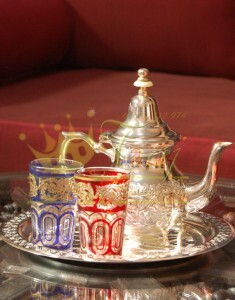 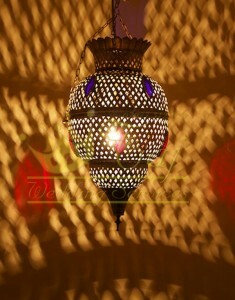 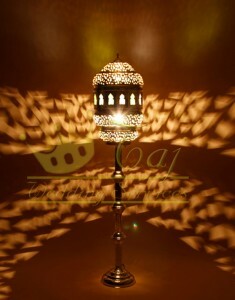 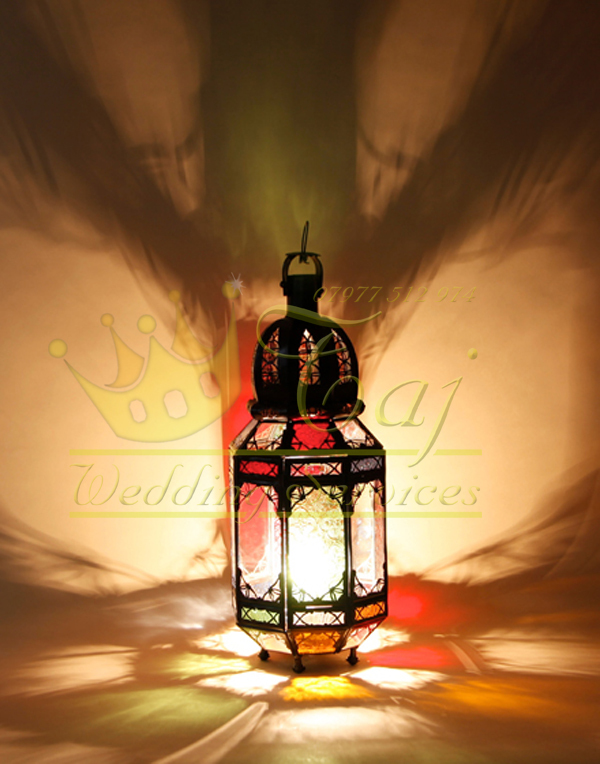 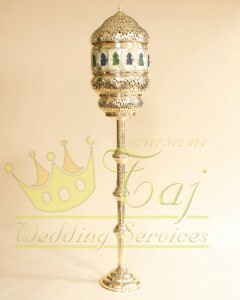 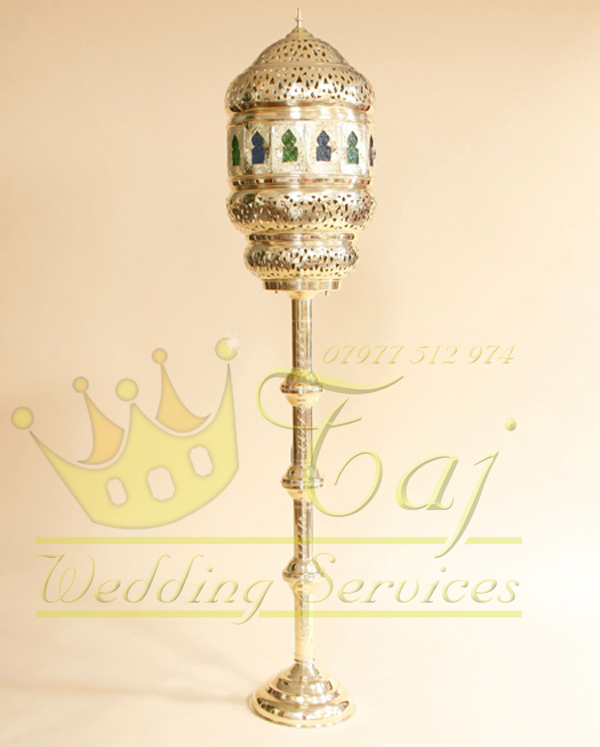 We provide range of Wedding jhoola/jhula mostly used in Asian Weddings for the decoration or during Mehndi celebration. 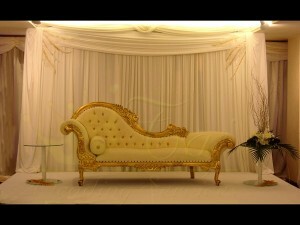 We rent high quality lounge furniture for weddings and all types of special events. 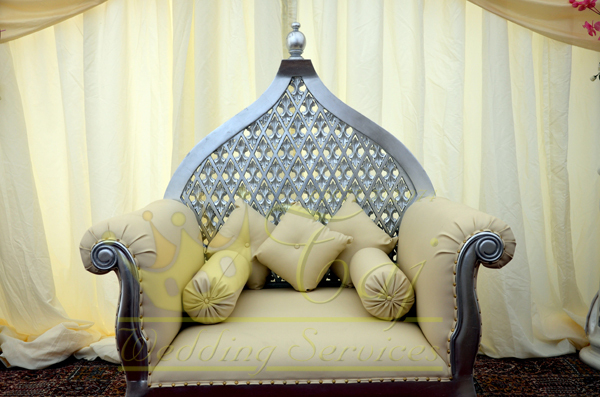 A comfortable seating environment is a great addition to any event. 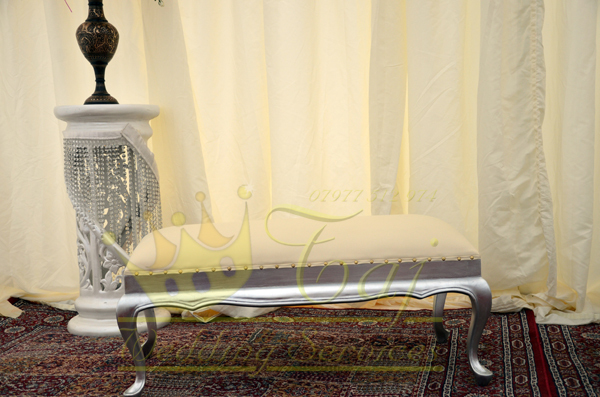 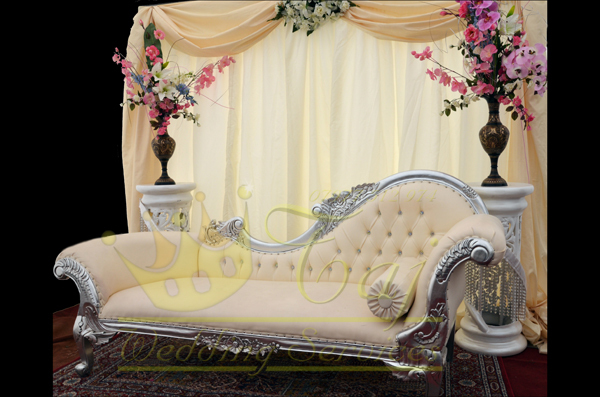 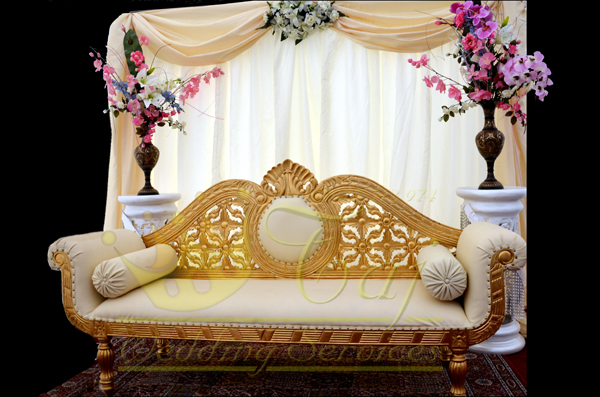 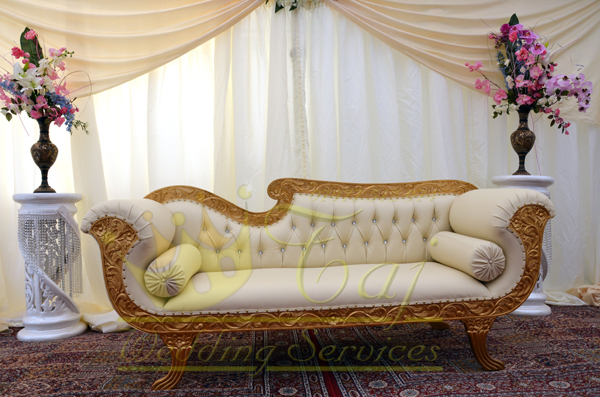 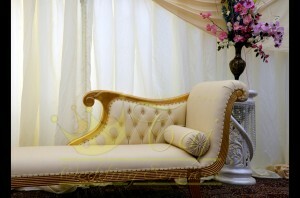 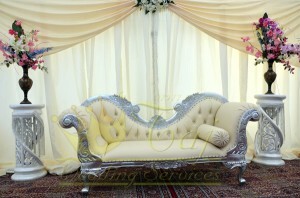 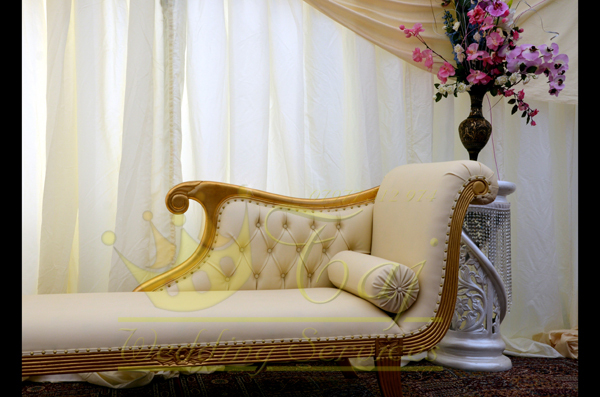 We have a wide range of chaise lounge, feel free to contact us and provide your requirement. We provide Uplighting service for wedding receptions, civil ceremonies, corporate events, Asian wedding receptions and general parties. 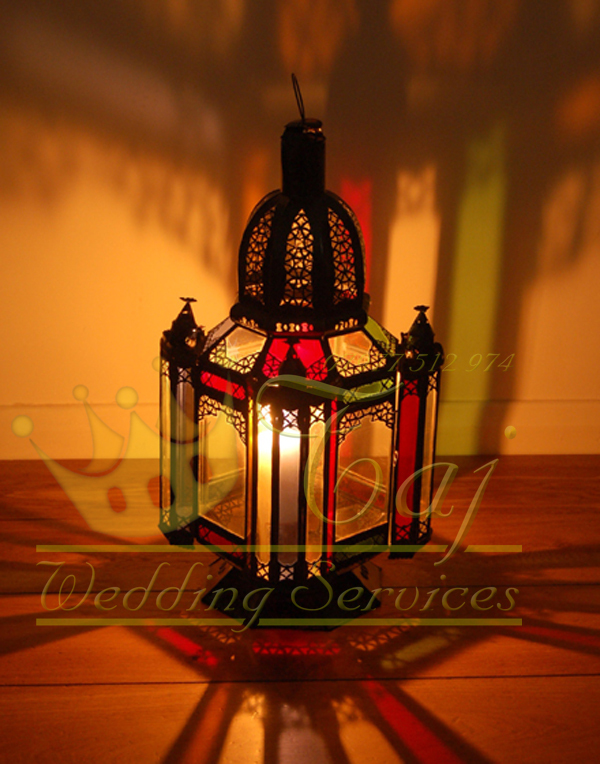 Our Wedding Lighting service allows you to choose the exact colour(s) that you would like the walls of your venue to appear throughout the event – we can match your colour scheme from a range of hundreds of different shades using our LED Uplighting. 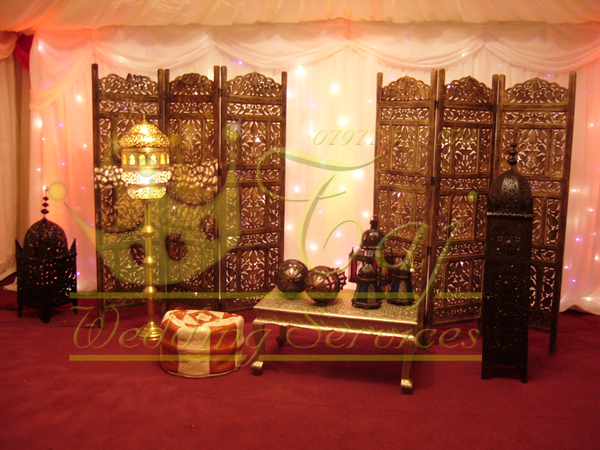 The most popular use for our wedding lighting service is at wedding receptions where brides and grooms ask us to enhance the plain walls with rich, vibrant shades to complement your colour scheme. A Chandelier is a eye catcher in every location or function. 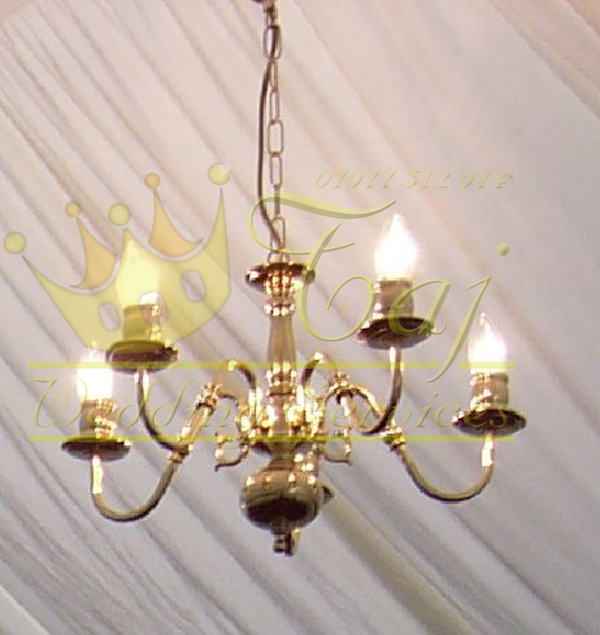 We provide Chandelier accross United Kingdom for mostly events, private parties and weddings on estates or parties of famous persons. 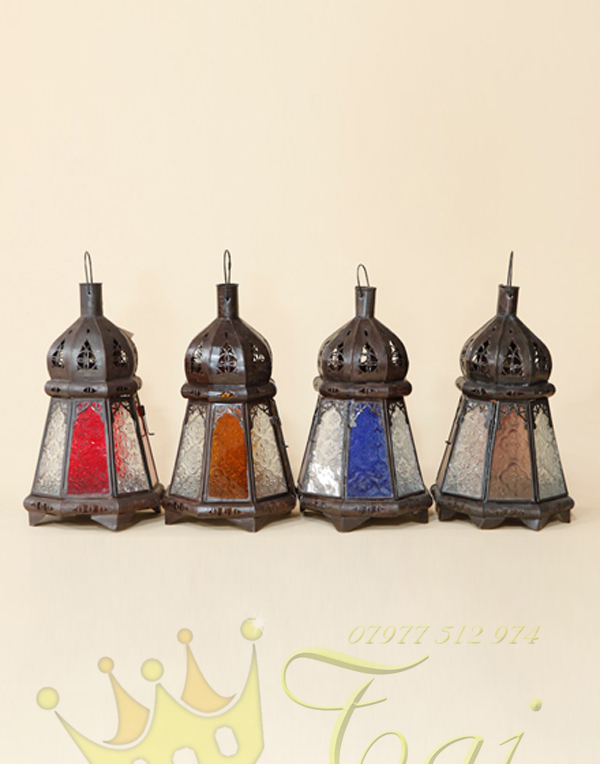 We have a huge collection of Chandeliers to choose from. 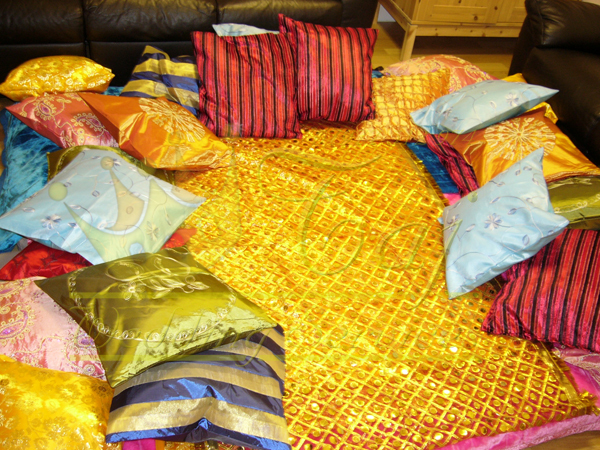 Please get in touch to know more. 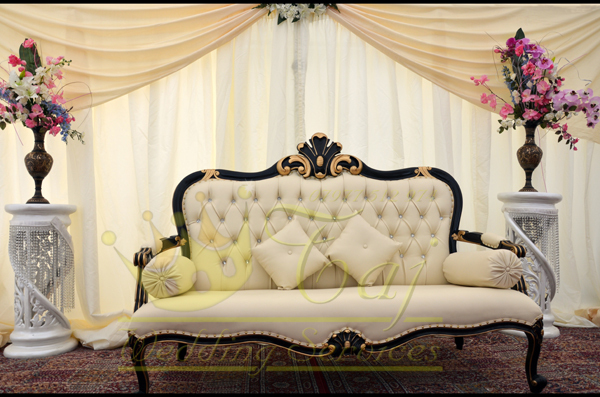 We have huge range of Indian Mattresses and Cushions suitable for every need be it party, corporate event, Asian wedding, Mehndi function or any other event. Please contact us to know more.